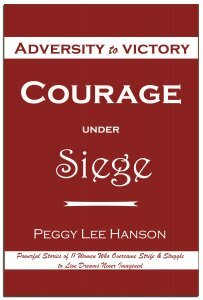 Best selling "Courage Under Siege- Adversity to Victory" should help many! 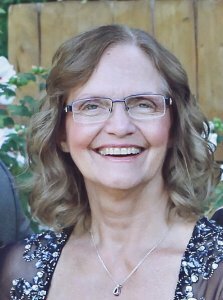 Without Peggy’s dream, her help and encouragement, this book would not have become a reality! We are all even more excited that we went to #1 – BESTSELLER – in Canada and #3 in the United States. Also because we were #2 on the hot new release list on Amazon, our book was exposed to more women and men that could be helped by it!! My fellow authors are: ‘Unexpected Gifts’ by Julia Neiman, Gratitude Matters by Geetha Krishnan, Faith Thru the Autistic Storm by Tammy Trayer, Lost & Found by Peggy Lee Hanson, Crying in the Cat Food Aisle by Donna Kozik, Super Heroes, Courage & New York City by Holly Pitas, My Perfect Storms by Susan Glusica, The Courage to Appreciate Yourself as You Are by Lianda Ludwig, The Road Less Traveled by Leigh Dundas, When Prince Charming Isn’t Coming by Susan De Robertis. In my chapter, “Open Your Mind to a New Life”, I explain how I went from very ill health, cancer and damage after radiation to find a way to be better, mind, body, and soul. I had to take my life into my own hands and go on a journey that would save my life and eventually help others as well! All of the authors in this book also showed courage in exposing their lowest moments and intimate facts about their lives. Some of the details expressed in the book were not even common knowledge to family members, but we all felt that it was worth baring our souls if it would help even one person rise from adversity. We are all so grateful for what we have accomplished and the improvements in our lives. Standing up to fears and what other people would think – so that we could help ourselves, loved ones and many more! If you are not happy with your life, when are you going to start to change it? You have the power. It is up to you! You may need help along the way, but you have to spread your wings and believe in yourself. For things to change, you have to change. If anyone is telling you, you aren’t good enough? If the little voice in your head is telling you that you aren’t good enough to better your life and go for your dreams – then you have to learn ways to turn off the negativity and focus on the positives. I love the book Think and Grow Rich! I read it as part of my network marketing training, but it applies to all aspects of life. You do get what you think. If you think you can’t succeed, you can’t. If you think you can, you can. I learned more and continue to learn more so that I can help more. The company I work for was ultimately my salvation and now I try to pay forward my good fortune and help all those that are ready to better their health naturally! To help people know that changes to our food are making us ill. We no longer get the building blocks for our immune systems to help and prevent illness. My hope is that many purchase “Courage under Siege”. Read it and pass it on so that it will help many! A wonderful write-up, Connie, about our book! Thank you so much for your kind words. Indeed this book will help so many people, especially women, who are going through a life filled with turmoil and trial. Whosoever shall read this book will be inspired, and hopefully, encouraged to take steps to take charge of current circumstances to move toward their own transformation! Blessings to you and your readers! Thanks for your kind words Peggy Lee! You have beaten the odds and turned that unknown fate into powerful words of wisdom that the Universe has Blessed you with.